What is a MANET ? It is an infrastructure-less IP based network of mobile and wireless machine nodes connected with radio. In operation, the nodes of a MANET do not have a centralized administration mechanism. It is known for its routable network properties where each node act as a “router” to forward the traffic to other specified nodes in the network. InVANETs – Intelligent vehicular ad hoc networks make use of artificial intelligence to tackle unexpected situations like vehicle collision and accidents. Vehicular ad hoc networks (VANETs) – Enables effective communication with another vehicle or helps to communicate with roadside equipment. 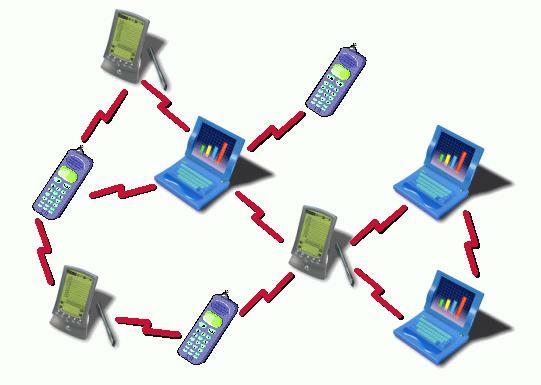 Internet-Based Mobile Ad hoc Networks (iMANET) – helps to link fixed as well as mobile nodes. In MANET, each node act as both host and router. That is it is autonomous in behavior. Multi-hop radio relaying- When a source node and a destination node for a message is out of the radio range, the MANETs are capable of multi-hop routing. 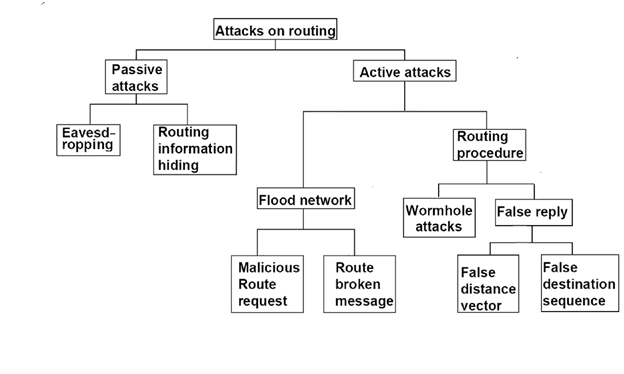 Distributed nature of operation for security, routing and host configuration. A centralized firewall is absent here. The nodes can join or leave the network anytime, making the network topology dynamic in nature. Mobile nodes are characterized by less memory, power and lightweight features. The reliability, efficiency, stability, and capacity of wireless links are often inferior when compared with wired links. This shows the fluctuating link bandwidth of wireless links. Mobile and spontaneous behavior which demands minimum human intervention to configure the network. All nodes have identical features with similar responsibilities and capabilities and hence it forms a completely symmetric environment. High user density and large level of user mobility. The wireless link characteristics are time-varying in nature: There are transmission impediments like fading, path loss, blockage and interference that adds to the susceptible behavior of wireless channels. The reliability of wireless transmission is resisted by different factors. Limited range of wireless transmission – The limited radio band results in reduced data rates compared to the wireless networks. Hence optimal usage of bandwidth is necessary by keeping low overhead as possible. Packet losses due to errors in transmission – MANETs experience higher packet loss due to factors such as hidden terminals that results in collisions, wireless channel issues (high bit error rate (BER)), interference, frequent breakage in paths caused by mobility of nodes, increased collisions due to the presence of hidden terminals and uni-directional links. Route changes due to mobility- The dynamic nature of network topology results in frequent path breaks. Frequent network partitions- The random movement of nodes often leads to the partition of the network. This mostly affects the intermediate nodes. The application of this wireless network is limited due to the mobile and ad hoc nature. Similarly, the lack of a centralized operation prevents the use of firewall in MANETs. It also faces a multitude of security threats just like wired networks. It includes spoofing, passive eavesdropping, denial of service and many others. The attacks are usually classified on the basis of employed techniques and the consequences.